Harold C. Bickford was born and raised in Toronto. 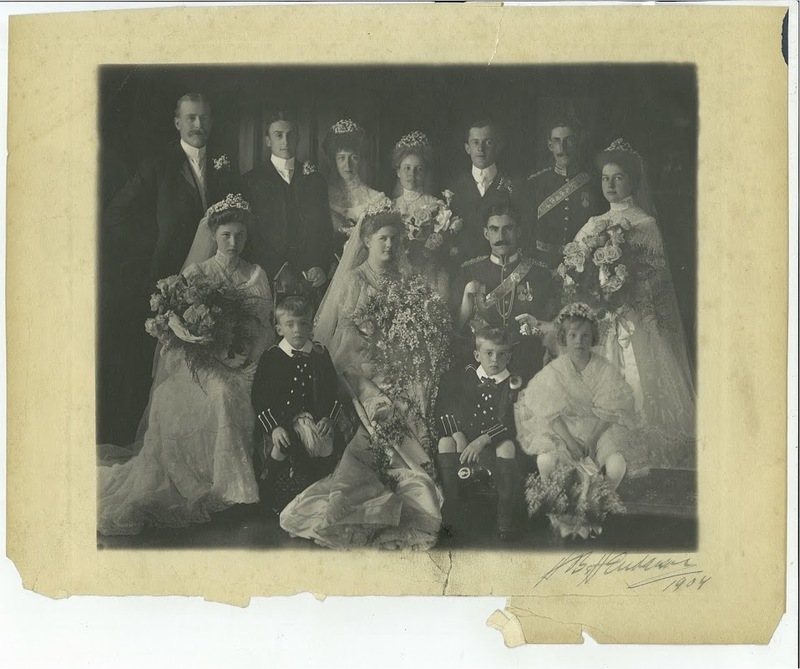 He married Mary Davidson in 1904. Mary and Harold had seven children – Mary, Edward, Phyllis, Beatrice, Millicent, Harold and Faith. General Bickford served in three major conflicts for the British Army – the Boer War of South Africa (1899-1902), World War I (1914-1918) and the Russian Civil War (1918-1920). He was stationed in England, South Africa, India and France. Several of his children were born were born overseas. General Bickford returned from the war, moved to Buffalo and divorced his wife. He left her with a nanny and seven children. Mary died of appendicitis in 1935. It was reported that the children had a difficult relationship with their father, which may be why he named the streets after them. 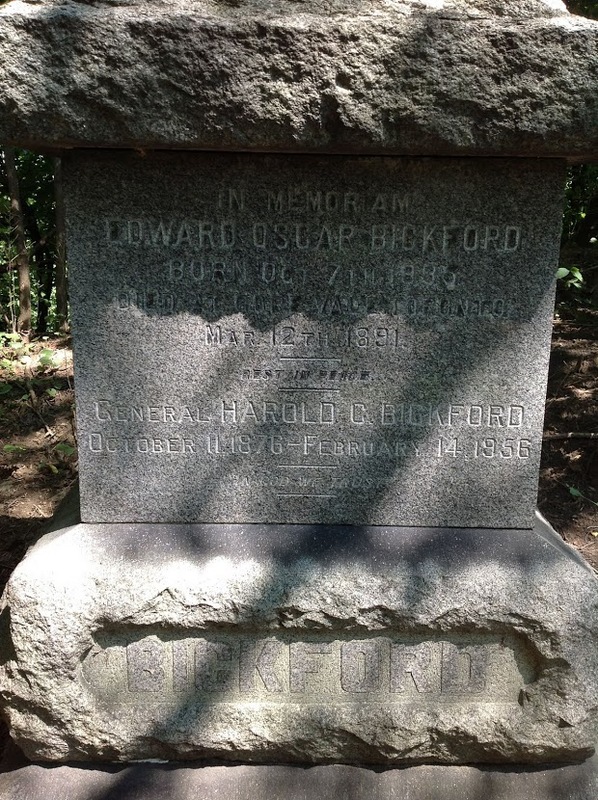 General Bickford died in 1956 and is buried in St. James cemetery in Toronto. Do you know the date the streets were named.0? General Bickford divorced in 1933. He may have named the streets beforehand?? The information I had found indicated that he moved to Buffalo and went into real estate after the divorce. Sources show him living in the Statler Mansion in Buffalo starting in 1923. I am not sure of the exact date of the street naming. I have a map from 1917 showing the old names of the street, and the next map I have handy is 1935 with the Bickford family names. Prior to the streets being named after the Bickford Family, they were named after New York State Counties – Rockland, Dutchess, Chautauqua, Rockland, etc., which is why Orleans and Suffolk Streets are still in the mix over there. I’d be interested in learning more if you have any other information – and would be willing to change the post as such- do you know if any of his children originally moved to Buffalo with him? All of his children were born by 1918. 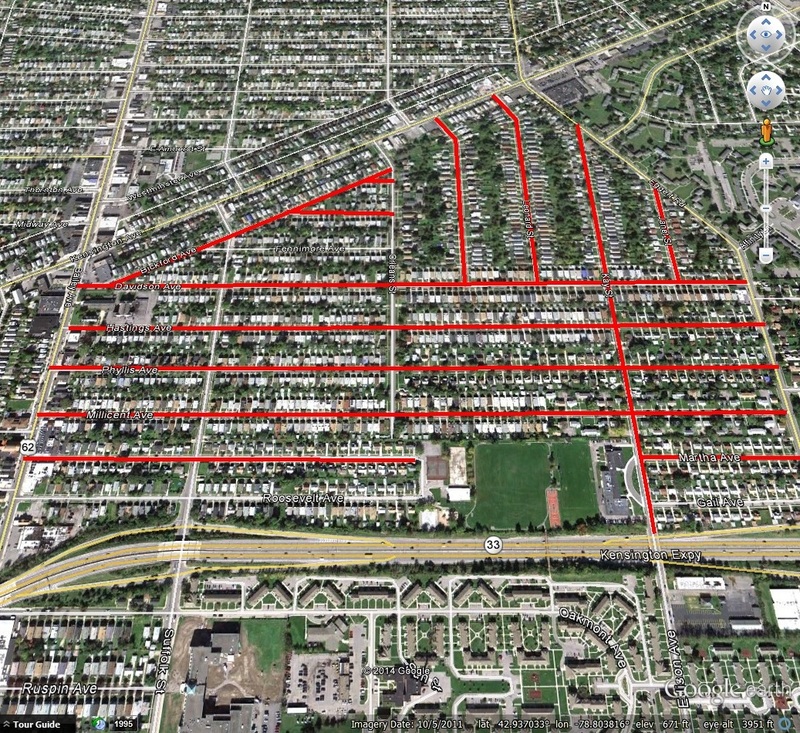 My father Harold D. said he was five when they moved to Buffalo in 1920…It is feasible that General Bickford named the streets after the divorce in 1933 if the next published map is 1935.